Anna is in Damon Key’s Dispute Resolution and Real Estate and Construction practice areas. As a director of the firm, her main focus is construction law and commercial litigation. She has represented construction organizations, developers, owners, contractors, subcontractors, suppliers and design professionals in reviewing and drafting construction contracts, as well as in all forums of dispute resolution, including extensive arbitration and administrative hearings, and appeals. She is a member of the ABA Forum on the Construction Industry, where she served as a member of the Division 1 Dispute Resolution Steering Committee, and is currently a Contributing Editor and author of the Hard Hat Case Notes for the Construction Lawyer, a construction law publication for the ABA Forum on the Construction Industry. She has written extensively on construction law topics, including contributions as a co-author to many national books, including the State Public Construction Law Source Book, (CCH, 2002); State-By-State Guide to Architect, Engineer and Contractor Licensing (Aspen Law & Business, 1999), A State-By-State Guide to Construction and Design Law (ABA 1998); Fifty State Construction Lien and Bond Law (Aspen Law & Business 2000); and The Design/Build Process: A Guide to Licensing and Procurement Requirements in the 50 States and Canada (ABA 1997). She co-authored the Construction Contracts chapter of the Hawaii Real Estate Manual, and has also written articles for various construction publications, including the Construction Lawyer and Reeves Journal. She has also spoken at numerous seminars on construction law, including seminars on construction, procurement and/or design law for entities including ACEC Hawaii, CFMA Hawaii, Lorman Education Services, National Business Institute, and has spoken twice at national meetings for the ABA Forum on the Construction Industry, on Cost Plus Construction Contracts, and Extended Surety Bonds for Highway Construction, and was recently selected as a Best Lawyer in America in the area of Construction Law. 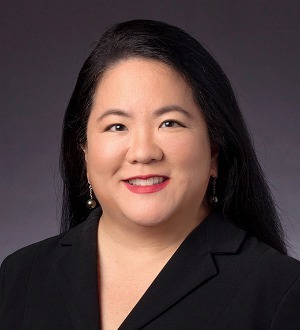 Prior to joining the firm in 1992, Anna worked for the Hawaii Supreme Court as a clerk for Justice Ronald Moon. She graduated from University of California’s Hastings College of the Law.